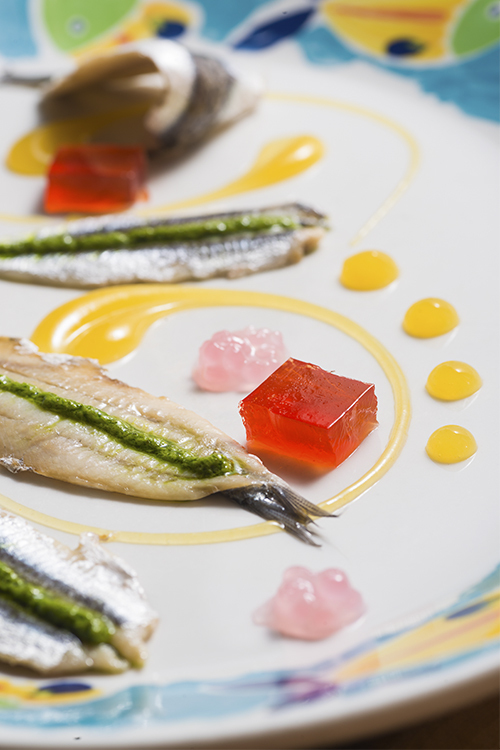 Anchovy with Sauce of Parsley, Mint, Gelatin of Campari and Orange Gel. 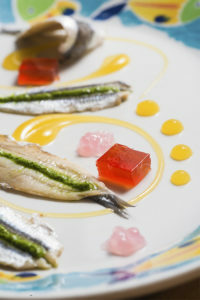 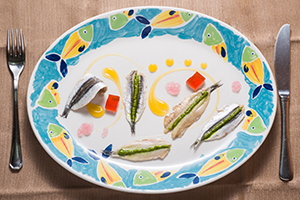 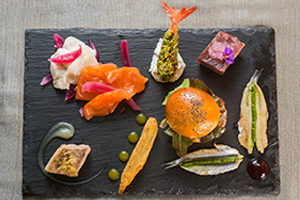 Tuna Tataki, Shrimp with Pistaccio, Hamburger Tuna, Marinated Anchovies, Fried Anchovies with Provola and Marinated Salmon. 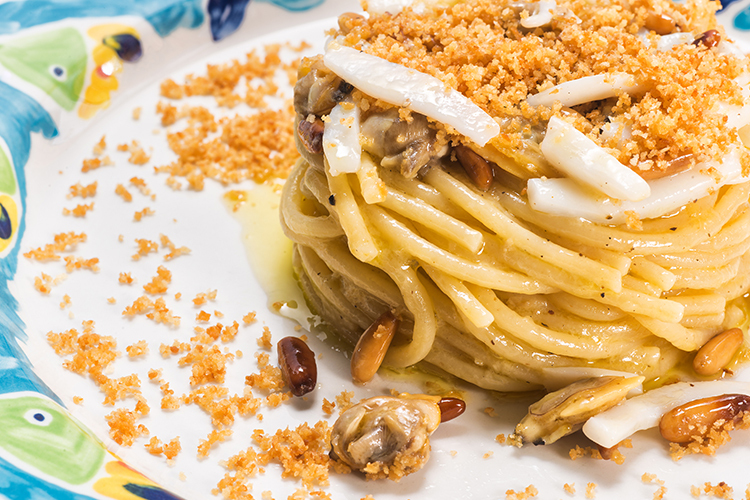 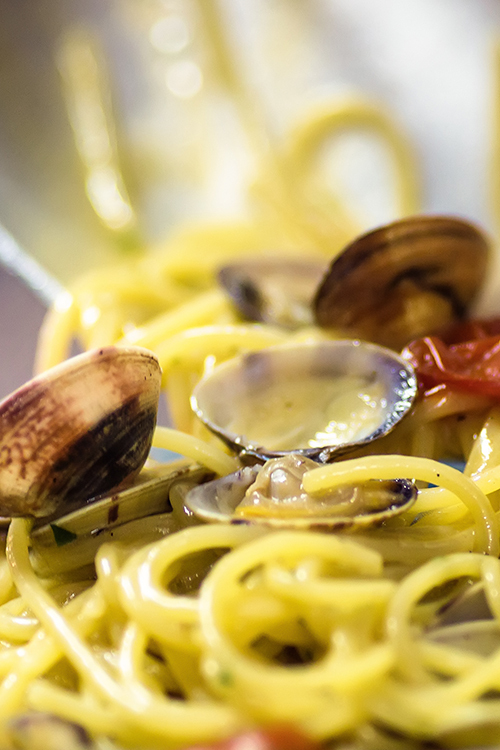 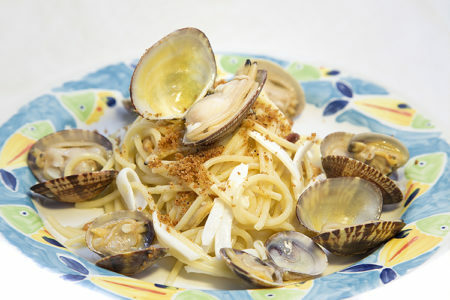 Spaghetti with Veracious Clams, Cuttlefish Pasteurized, Roasted Pine Nuts, Lemon and Fried Bread Crumbs. 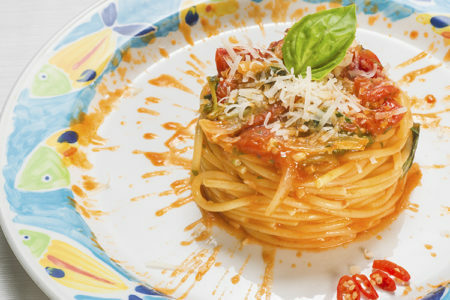 Cherry Tomato of Maronti, Basil, Onion, Garlic and Chili from Our Island. 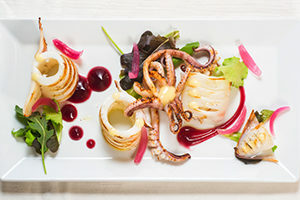 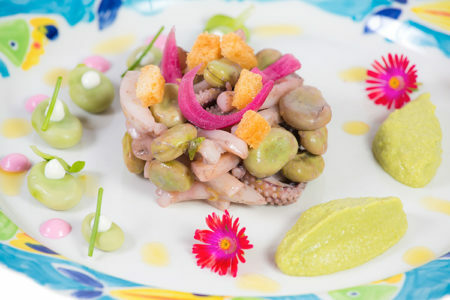 Grilled Squid with Red Turnip Mayonnaise, on a Bed of Mixed Salad (Misticanza). 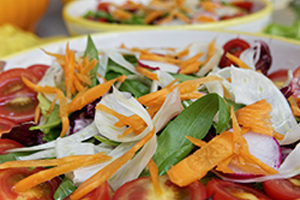 Mixed Fresh Vegetables in Season. 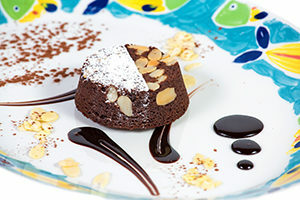 Classic Caprese, with Almonds and Chocolate. 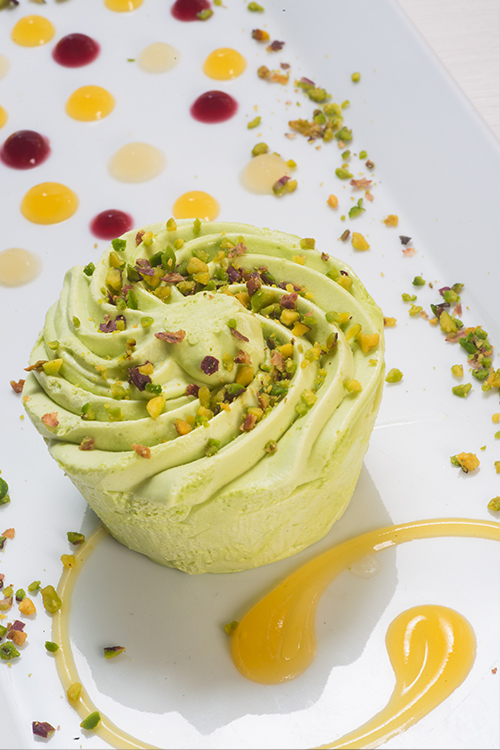 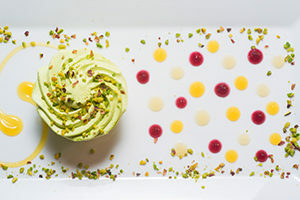 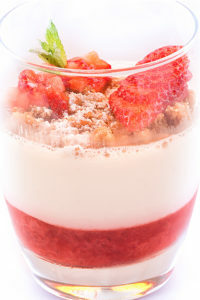 Pistachio parfait with Raspberry and oOrange Sauce.